In this days use of Wi-Fi enabled smart phone is becoming very common..This smart phone also have 3G connectivity which support very high speed data transfer and internet connectivity, we create internet connectivity through mobile using cable or Bluetooth connection. 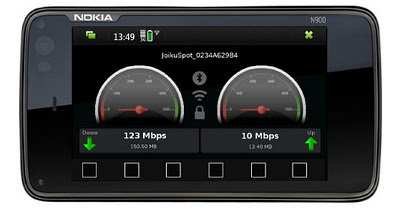 This technologies can give speed upto the 460 Kbps..even we connected to the 3G network..hence the option is to use Wi-Fi connectivity to fully utilize 3G network bandwidth. At minimum Wi-Fi suppory 11Mbps which is sufficient to utilize our 3G HSDPA connection. As we found solution, 1 question is arrived..." We need a smart application on smartphone to manage Wi-Fi connection smartly"